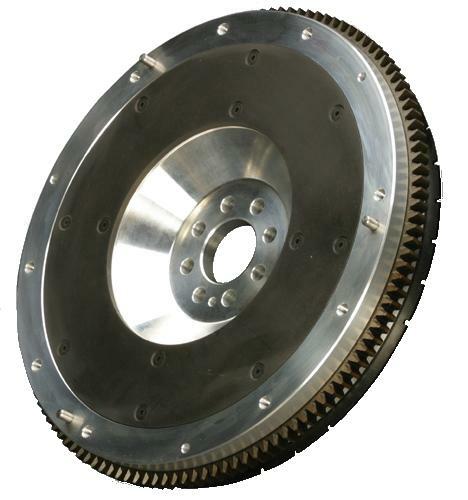 STILLEN Lightweight Aluminum Flywheel - Dezod Motorsports Inc - Home of the automotive performance enthusiast since 2002. In road racing, being able to match road-speed to engine speed is critical for fast shifting and ultimate mastery of the transmission. This is made far simpler by optimizing the weight of the flywheel. These billet aluminum flywheels are typically just over half the weight of the stock iron unit. With the reduced weight, less power is needed to overcome flywheel inertia. The result is a quicker revving, more responsive motor.